The Dakota made by Springwall has great value and is perfect for any type of customer that is looking for an affordable pocket coil mattress with specialty foam. The Zoned Pocket Coils contours to your body while reducing partner disturbance and providing extra support in the centre third where you need it the most. The High Density Bio Foam is made from soy based oils and is also Certi-PUR certified meaning no harmful chemicals are used. The ViscoGel Memory Foam conforms to your body while regulating your body temperature. Conveniently roll packed into a box for easy delivery and set up. Canadian Made, Canadian Owned. 800 Zoned Comfort Pockets provide pressure relief and eliminate motion transfer for an undisturbed rest. 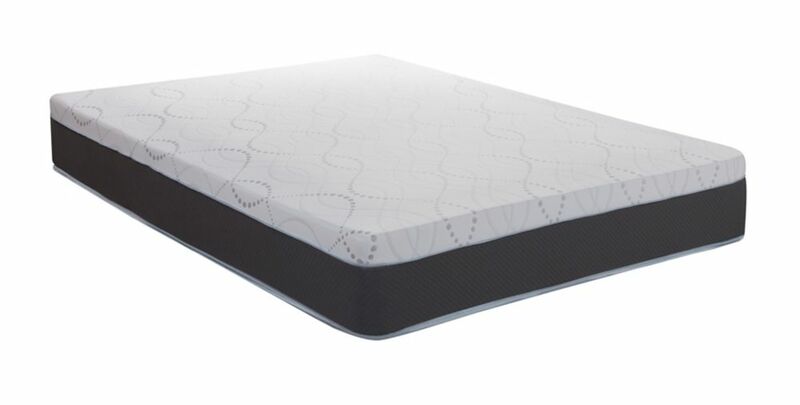 Dakota 11-inch Queen-Size Pocket Coil Mattress The Dakota made by Springwall has great value and is perfect for any type of customer that is looking for an affordable pocket coil mattress with specialty foam. The Zoned Pocket Coils contours to your body while reducing partner disturbance and providing extra support in the centre third where you need it the most. The High Density Bio Foam is made from soy based oils and is also Certi-PUR certified meaning no harmful chemicals are used. The ViscoGel Memory Foam conforms to your body while regulating your body temperature. Conveniently roll packed into a box for easy delivery and set up. Canadian Made, Canadian Owned. Dakota 11-inch Queen-Size Pocket Coil Mattress is rated 5.0 out of 5 by 2. Rated 5 out of 5 by smgk from very comfortable I bought this over a month ago and it is a great mattress. Very comfortable, you can't feel the person beside you moving yet firm enough for my needs. I have slept on hotel mattresses the past 15 years bought from hotel websites and this is far more comfortable. Rated 5 out of 5 by Matty from Finally...... sleep! What a difference this bed made on my back. Great support and comfort.